Anyone who has planned a wedding knows that suprises are usually not a good thing in the lead up to the big day. 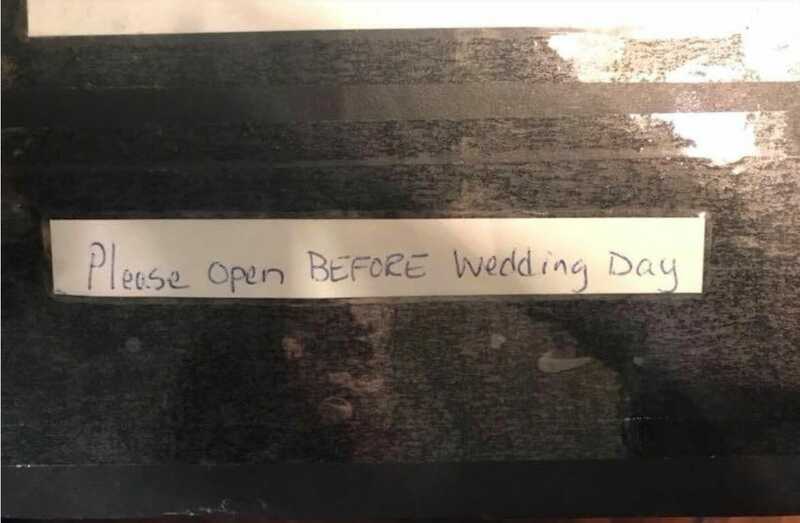 But when Mary Hall came home to a mysterious package recently, just days before her wedding, she received something that she will treasure for the rest of her life. 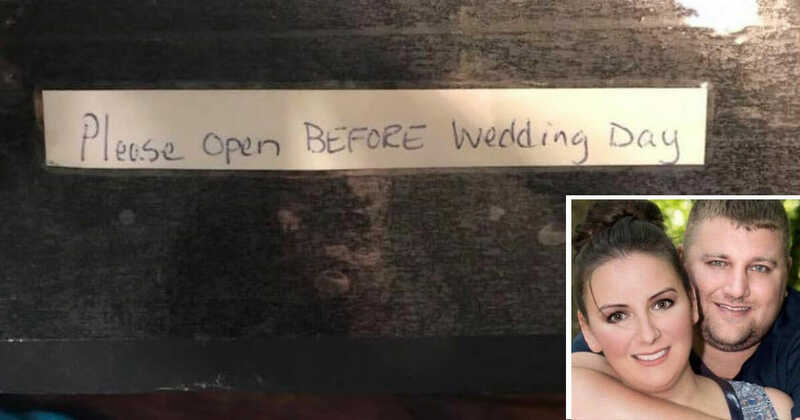 Inside the package was a handwritten letter, and when her fiance started to read it, Mary got chills. Mary Hall and her fiance Chuck Neese are in full swing getting the final touches ready for their wedding day, on January 20th, 2018. The couple, from Evansville, Indiana, felt confident – everything was going to plan. But they were caught off guard recently when Mary came home from work to find Chuck looking confused. A mysterious pacakge had arrived in the mail, addressed to the couple. Chuck had waited for Mary to arrive home so they could open the package together. 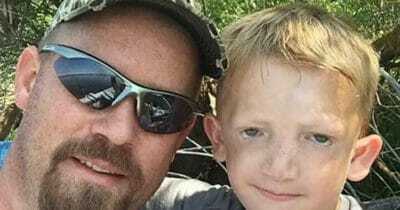 Inside the package was a handwritten letter from the Felker family, who lived hundreds of miles away in Illinois. As Chuck began to read the letter, Mary got chills. The letter had been written by the Felker children. 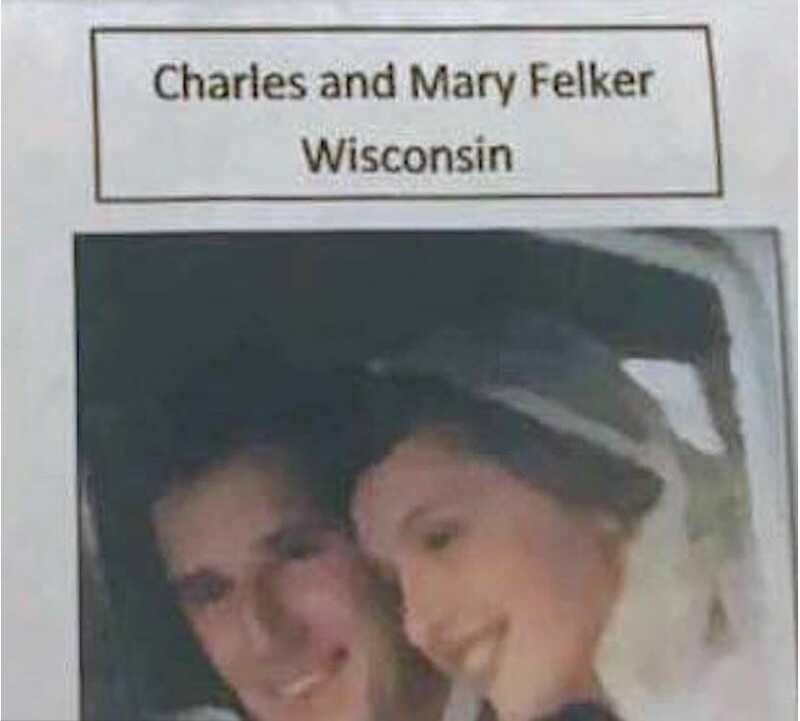 It turns out that Chuck and Mary shared the names of the Felkers’ deceased parents – and now they wanted to share a a sentimental keepsake and blessings with the soon to be married couple. The letter went on to describe their parents’ happy and loving 62 year marriage. But that’s not all – the family wanted to give the couple a touching gift to bring them luck and happiness for their own marriage. 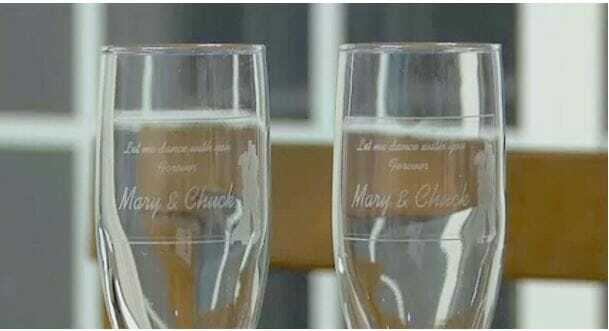 “Chuck opens it up, and pulls out the glasses, and it says, “let me dance with you forever, Mary & Chuck,” Mary explains. But that wasn’t the only suprise that left the couple speechless. 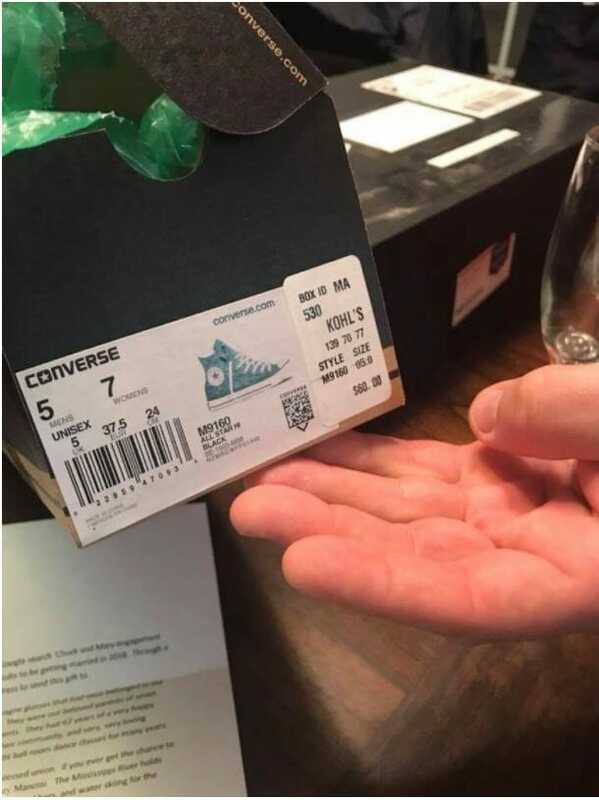 Mary noticed that the letter and gift had been carefully wrapped in a Converse shoe box. Mary and her bridesmaids have long been planning to wear the comfortable shoes under their dresses during the wedding. “It was just all very much a bunch of coincidences all together. It’s all really cool,” Mary tells 14 News. 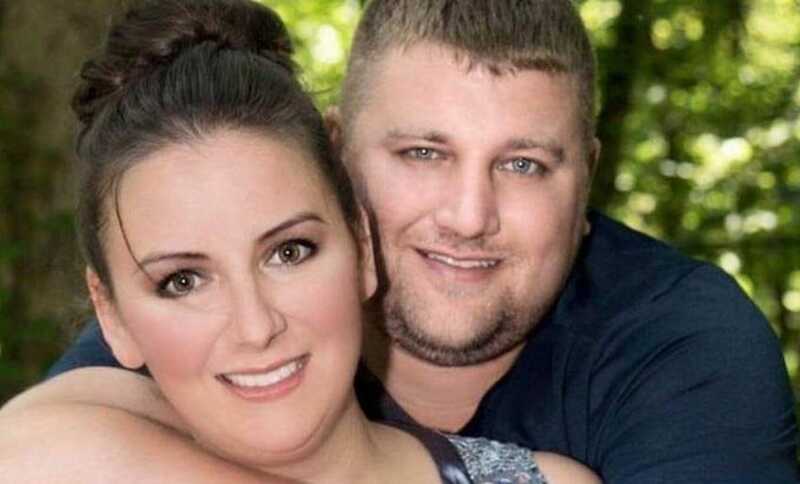 Now the couple plans to use the glasses on their wedding day, and also hopes that the kind-hearted Felker children can be there to celebrate with the happy couple. “Eventually one day I will meet them. I sent them an invitation to the wedding. So, we’ll see if we get a response from them,” Mary says. 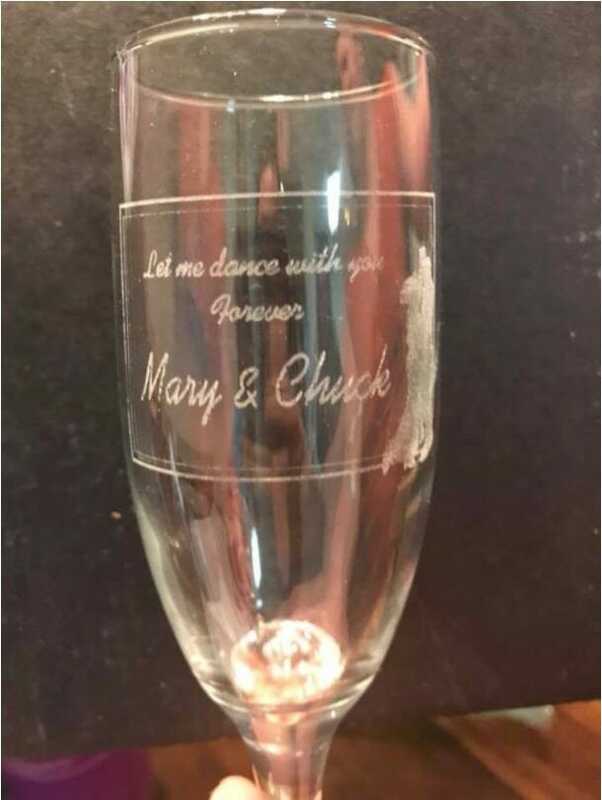 Chuck and Mary also want to start their own tradition with the vintage wedding glasses – they say that when their daughter Lily gets married, they will send the glasses to another couple with the same names. What an incredible suprise and a wonderful tribute to a happy and loving couple. 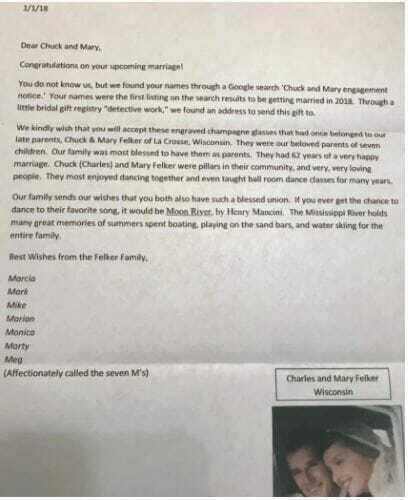 I’m sure that Chuck and Mary will put the glasses to good use and enjoy many happy years together before passing them on to another happy couple. Please help us wish Chuck and Mary the best of luck by sharing this article and adding your congratulations in the comments!